Florida's foreclosure crisis lives on, but a statewide mediation program for troubled borrowers is dead. Florida Supreme Court Chief Justice Charles T. Canady issued an order Monday ending the effort to encourage lenders and borrowers to avoid foreclosure. The program was a flop. Only 3.6 percent of cases referred to mediation statewide yielded a written agreement between the lender and homeowner. In Palm Beach County, which began its program in July 2010, a mere 1.6 percent of the 4,632 cases sent to mediation resulted in a written agreement. Often, lenders couldn't even reach borrowers to propose mediation. Of 78,076 cases referred to mediation statewide, lenders managed to get in touch with just 42 percent of borrowers. "The court has reviewed the reports on the program and determined it cannot justify continuation of the program," Canady wrote. Lenders and borrowers can continue to haggle over loans already in the mediation program, but it will take on no new cases, he said. Lenders blamed economic reality for the program's failure. Home prices have plummeted and jobless rates have soared since the real estate bubble burst, creating financial obstacles that were just too great for many to overcome, said Anthony DiMarco, executive vice president of government affairs at the Florida Bankers Association. "It was a well-intentioned program that just didn't work," DiMarco said. "If someone's lost their job, a substantial part of their income, I don't know how they can work that out." But foreclosure attorney Tom Ice of Royal Palm Beach said the program failed not because of a moribund economy but because of the way it was designed. Ideally, a mortgage modification would bring borrower and lender together for a face-to-face discussion, he said. But that rarely happened. Instead, Ice said, loan servicers - companies that collect payments on behalf of lenders - tried to fit borrowers into criteria he considered too limited. "It wasn't real mediation," Ice said. "It was a loan-mod opportunity which was often lost because of paperwork problems. You could never get the actual owner of the note at the table. At best, you could get the servicer on the phone." Because the state program brought relief to so few homeowners, Ice isn't sorry to see it go. "I don't think it ever served the homeowners well," he said. "I don't think it served anybody well." Lenders likewise are glad to be rid of a program they consider costly. "The industry has paid a lot of money for this mediation program," DiMarco said. "We spent tens of millions of dollars for this." 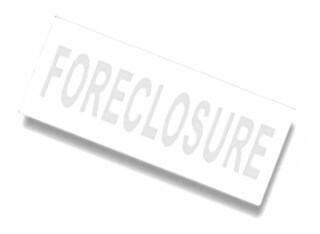 With courts throughout the state facing a backlog of foreclosure cases, the Florida Supreme Court in 2009 ordered the mediation program. Foreclosures continue to pile up in Florida. Lenders filed default proceedings on nearly 25,000 homes last month, the second-highest total in the nation, according to research firm RealtyTrac.